Ascendo Immersive Audio might be a relatively unknown brand in South Africa, but that’s set to change with The Audio Visual Boutique now representing the German marque locally. A recent demonstration of a dedicated Ascendo Immersive Audio (AIA) installation at the Audio Visual Gurus showroom in Randburg provided a first opportunity to experience the sonic capabilities of the AIA loudspeakers first hand. The 7.5.4 Atmos demonstration system has been installed in a dedicated home theatre at AV Gurus, and features an Audio Video Bridging (AVB)-based network connectivity solution. AVB is a defined network protocol that allows the streaming of digital audio directly to active speakers and digital amplifiers using CAT6/7 network cabling. In doing so, it greatly simplifies the wiring of complex multichannel systems while offering easy set-up, and high reliability levels. 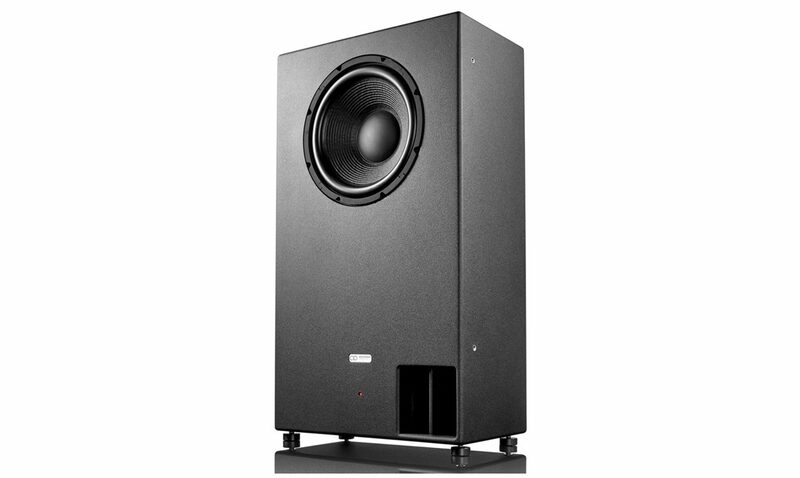 The system employs both active and passive AIA loudspeakers and dedicated AIA amplification, in conjunction with a Trinnov Altitude32 pre/processor. The source signal is provided by an Oppo UDP-205 4K Blu-Ray player. According to AIA, its main and surround loudspeakers employ custom-designed point-source coaxial drivers for ideal impulse, frequency and phase responses compared to conventional drive units. 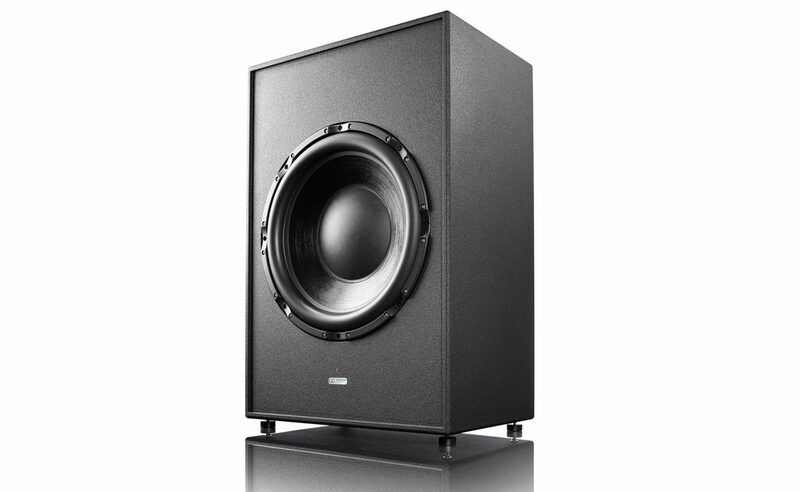 The subwoofers utilise high-excursion drivers for large-volume air movement, combined with high-power, DSP-controlled amplifiers to ensure precision and control. The AIA active speakers are powered by built-in, bespoke Class D amplification, purpose designed for the drive units in question, and offering a combination of extremely low distortion, even at full power, and low noise levels. Digital signal processing is also integrated into the speaker design. The 7.5.4 Atmos system at AV Gurus comprises three identical AIA CCRM 12 MkII active speakers in a left, centre and right role respectively. Each speaker employs a 12-inch coaxial point source driver, and a 1 kW Class D power amp. Frequency response is a claimed 55 Hz – 20 kHz. The LCRs are supported by two pairs of CCRM 6-P passive point source speakers in a surround role, mounted on the cinema’s side walls. A further two pairs of CCRM 6-P speakers are mounted overhead to provide the Dolby Atmos functionality. The CCRM-6P has a shallow 102 mm enclosure, perfect for wall and ceiling mounting, and uses a 165 mm point source driver, powered by a 350 watt Class D amp. Rated frequency response is 80 Hz to 20 kHz. The subwoofer array is particularly impressive. It comprises no less than four SMS-15 active subwoofers at the front and a massive SMSG-24 subwoofer at the rear. The SMS-15 employs a 15-inch high-excursion driver, powered by a 1kW digital amp, and reaches down to 25 Hz. However, it’s the SMSG24 subwoofer that will make grown men cry. 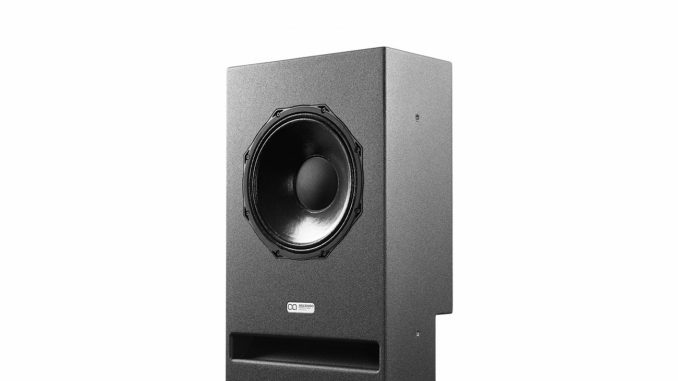 The 24-inch driver has a 90 mm excursion capability and is fed with no less than 6kW of power, allowing it to reach down to a true, infrasonic 15 Hz. It moves 10 litres of air per stroke! By the way, all the front loudspeakers – LCRs and subwoofers – are mounted behind a 185-inch Screen Research woven, acoustically transparent screen. The launch event provided only limited listening time, but it was enough to showcase the sheer, physical impact of the system. With so much power on tap, there was no problem filling the 7m x 5,51m x 2,8m room with sound – if anything, it became somewhat overwhelming. Two aspects stood out: the sheer control of the system was unwavering, even at extremely high listening levels. The bass was succinct and impactful to the point of becoming physical, adding a distinctly tactile aspect to the listening experience. Secondly, the sonic imaging was indeed seamlessly three-dimensional and immersive, with superior inter-channel steering and a real sense of being at the very core of the on-screen action. Pity then that the listening levels were pushed close to intolerable levels. Understandably, the hosts wanted to demonstrate the muscle, sheer control and ultimate precision of the system – but at peaks approaching 115 dB, the experience was overpowering. I would imagine that at saner levels, the system would also be able to show off subtleties and revelations that simply couldn’t be appreciated with the wick turned up that high! Never fear, I’m hoping to spend a bit more time in the AIA room at AV Gurus to gain a more balanced insight in what that system is capable of.